The year to date, over ten million tourists visited Japan in May 2017. Many of tourists like to visit must-see attraction places in Japan. However, there are still some hidden attractions yet to be discovered. Today, I would like to introduce a place that coffee lovers like to go. Kiyosumi Shirakawa is a residential area, where the place has become more popular as Tokyo’s newest coffee town. It is only 15 minutes train ride from central Tokyo. This place is very quiet, simple and not a popular area at the beginning. In the past few years, many of cafés have opened in coffee town such as Allpress Espresso from New Zealand, Blue Bottle Coffee from United States. 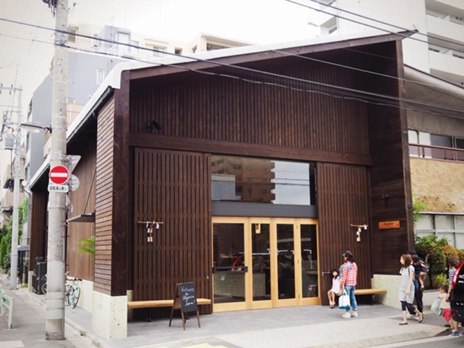 Some cafés have been reported their story in Japanese coffee magazines or well-known blogs. They provide quality ingredients to serve customers. No matter you are living in Tokyo or holiday, coffee town should be on you must-visit place. Today, I introduce 5 well-known coffee shops in Kiyosumi Shirakawa. 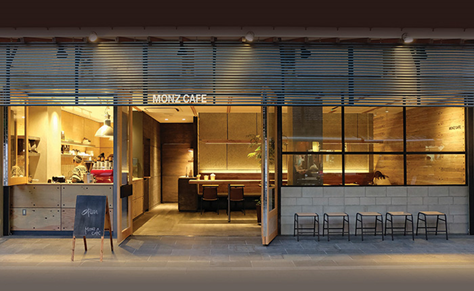 Monz Café is on the main market street at the entrance of Fukagawa Fudo Temple, which only 15-minute walk from Kiyosumi Shirakawa Station. The design of this café is very modern and trendy. All the design ideas were done by the owner, Taiichiro Suzuki. It specialises in espresso, latte, flat white, Manuka honey and lemon juice. They also provide croissants, Panini, various cakes and brownies. The menu on the wall is written in English, so the customer can order your drink and food easily. The drinks typically range from 400 – 500 yen. While you are walking near Blue Bottle Coffee, the smell of coffee can wake you up before the caffeine enters your body. This café is United States of America based global chain in six different cities around the world. Tokyo is one of their best choice. They chose a large warehouse building in this empty and quiet street to start their business in Tokyo. It is a 10-minute walk from Kiyosumi Shirakawa (E14/Z11) metro station. They provide a very fresh roasted coffee such as drip coffee, iced coffee, espresso and various desserts. Coffee is sold within 48 hours to assuring the best quality coffee. 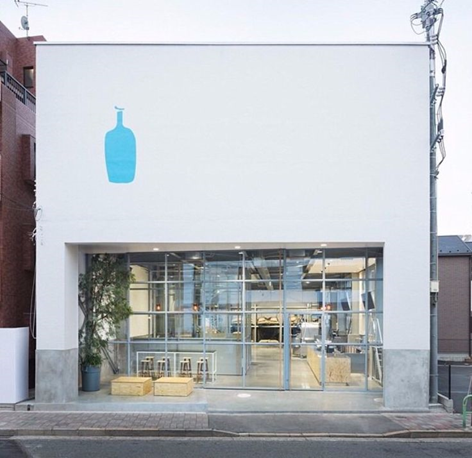 That is why Japanese are waiting four hours for a cup of Blue Bottle Coffee during weekends. 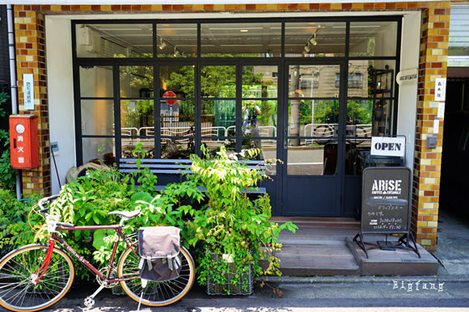 Arise Coffee Entangle is established by Taiju Hayashi in 2014. It is located near to Kiyosumi gardens. Therefore, many of locals just take away coffee for a stroll in the park if all the seats are full. This café offers pour overs for hot coffee and other high quality desserts. There are eight and 16 types of unique coffee beans to choose from and they are ever changing. They believe customer will never feel bored if always try new beans. Allpress Espresso was established in 1986 by Michael Allpress. Headquarter in New Zealand and opened the roastery and café in Kiyosumi Shirakawa as their Japanese base. They renovated the warehouse for more seats and designed large window that reaches up to the ceiling and separates the roastery from café. Behind café area, they put various equipment for their roasting operations. It is allowed customers to watch the roasting process from their seats. The café provides espresso, latte, mocha, cappuccino, juices, tea, English breakfast, toasts and sandwiches. You also may buy coffee beans in the café. I recommend cappuccino, latte or flat white, because their beans are made to pair well with milk. 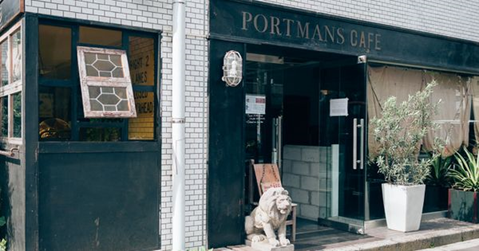 When you enter to Portmans Café, you will feel very cosy with vintage Americana furniture. It is an ideal place to enjoy afternoon tea. This café is located northwest of Kiyosumi garden. They provide Portmans coffee, iced coffee, café latte, almond latte and hazelnut latte with range of 400 – 600 yen. Also, they provide mix of European classics and Japanese favourites such as Portmans curry and freshly baked scones are their signature foods. Kiyosumi Shirakawa doesn’t seem like attraction place at first glance, but it has a lot of high quality coffee in this small area. It is a time to sip a cup of coffee to enjoy the ambience. Come to add Kiyosumi Shirakawa to your must-visit place list. I see you there. Streamer Coffee Company is a small chain of coffee shops in Tokyo specialising in quality coffee and latte art!